The o.5 ha site next to Mid Valley City that had housed a Volvo showroom and service centre since 1971 has been redeveloped into a state-of-art office tower : the 24 storey tall Menara MBMR. 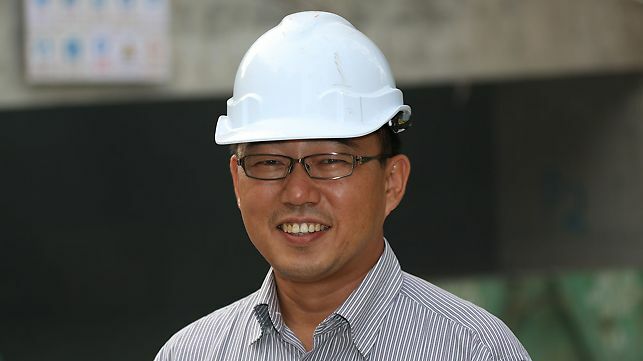 The contractor, Pembinaan Teknikhas Sdn Bhd turned to PERI for a cost effective formwork solution. 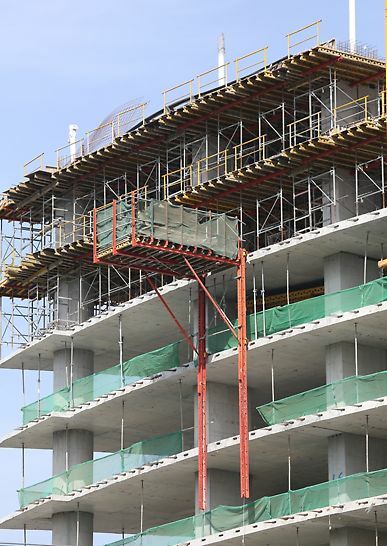 To keep up with the rapid pace of work, the 25 cm thick floor slabs has to be formed. 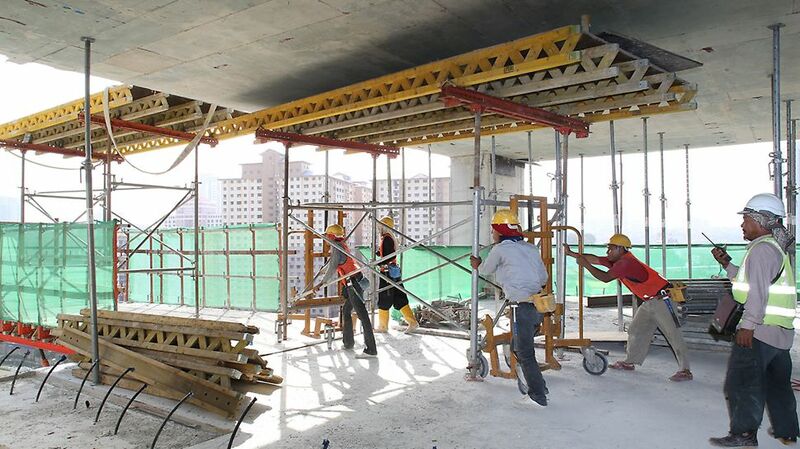 The formwork and scaffolding concept was developed together with the site management and took into consideration the extreme space constraints and limited crane capacity for the shell and finishing work. with the well tought-out cycle planning, the contractor was able to achieve a 6 - 7 days cycle per floor. The support and consultancy of PERI in engineering, logistics and on site instruction was provided and received with much enthusiasm. We wish to continue the successful co-operation with PERI in our upcoming projects. 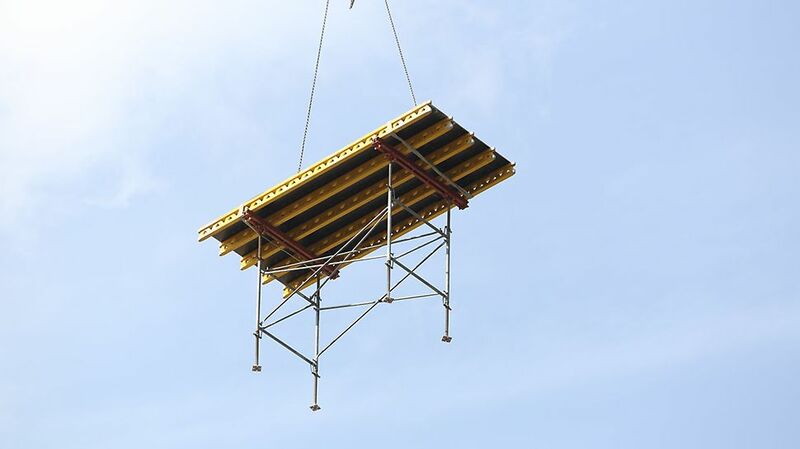 PERI Engineer combined the VARIO GT24 girder formwork with CB 160 working platform for the shearwall. 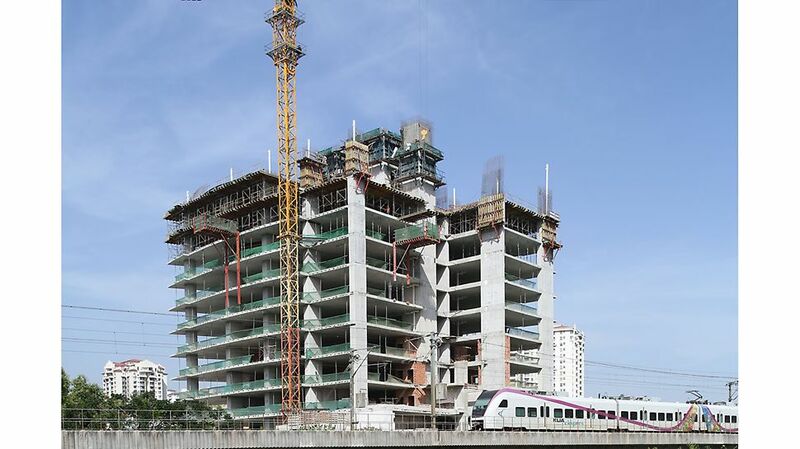 VARIO column formwork were used to form the rectangular and circular columns.